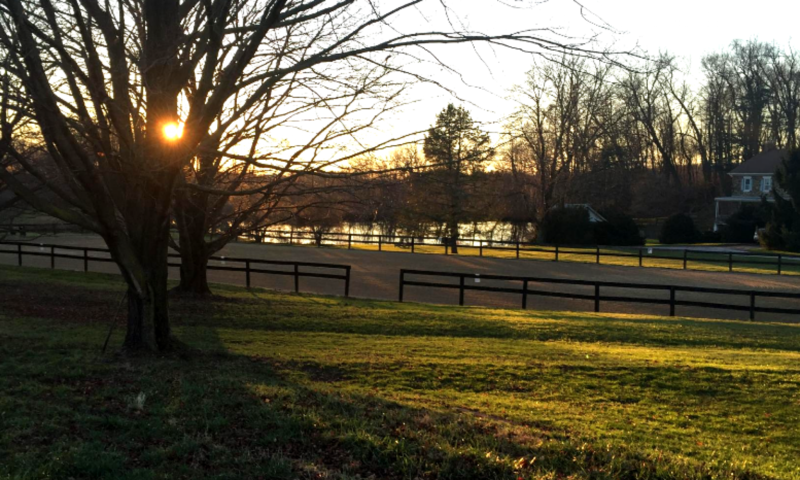 Ship’s Quarters Farm provides an atmosphere of learning and fun in an encouraging environment for you and your horse. Sharon and her team strive for a relaxed peaceful atmosphere for the horse enthusiasts they serve. The farm caters mainly to young adult and adult riders but please take a look at http://darenthfarm.com/ our sister farm that caters to riders as young as five. Sharon believes that the best farm management provides a very structured environment for the horse. Her 40+ years of Equine Management experience both in England and for the last 30 years here in Maryland has prepared her perfectly for her role as Supervisor to the equine residents of the farm. Farm manager Sarah Dean lives on site and has the ability to troubleshoot & apply first aid and evaluate emergencies enhancing the general health and well-being of the horses in her care. Ship’s Quarters Farm offers so many amenities and services to help keep your horse healthy and happy. Whether it is turn out with boots, body clipping, pulling manes and braiding for shows, or soaked hay for the older folk, there is a full menu to help your horse perform at its best. There is always a helpful hand available to accommodate riders/owners of all skill levels for that feeling of complete confidence through your riding experience. From Westminster ,Route 27 North to Left on Sullivan Road, Left to Ship's Quarters Court.